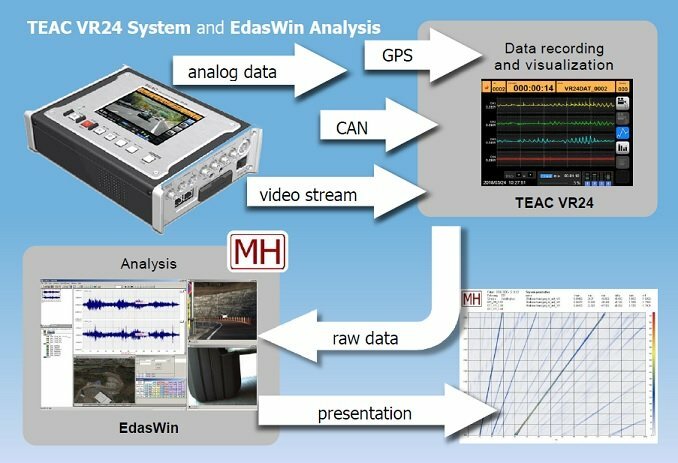 EdasWin is a software package for offline analysis and report from Analog, CAN, GPS and Video Data for presentation in conjunction with TEAC VR 24 measuring system. EdasWin is a comprehensive offline analysis package. 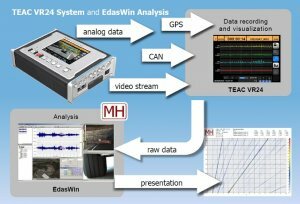 In Addition to all common mathematical and statistical features, EdasWin offers auto-analysis, data browser, native reader for many foreign data formats, synchronous display of measured signals and video streams, automatic noise suppression, damage calculation, GPS - interpolation, course and map display. Extensive layout funct ions are available for documentation. The high speed of data processing (up to 100 Mio. 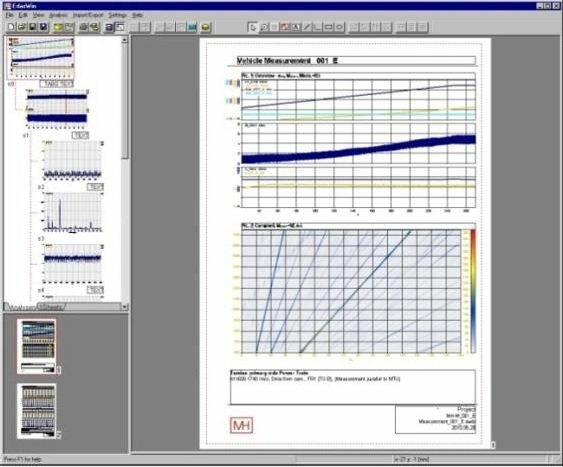 measured values) and the sophisticated operating concept allows efficient working with EdasWin. Cursor Function with Peak Detection. 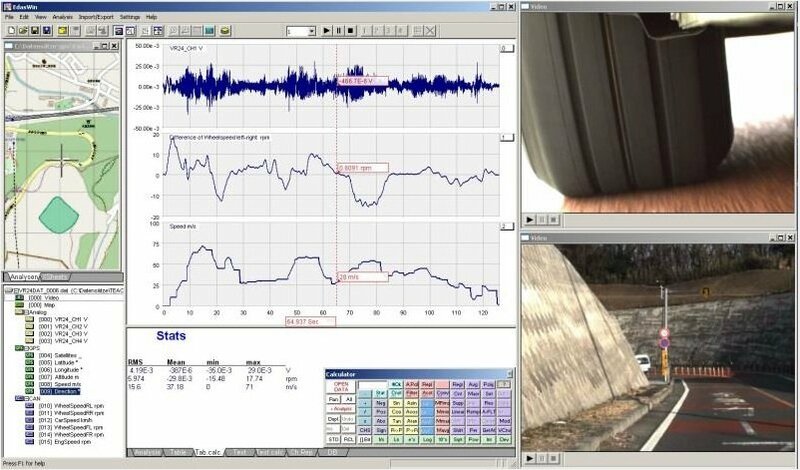 Commentary editor for enter and display from text information.